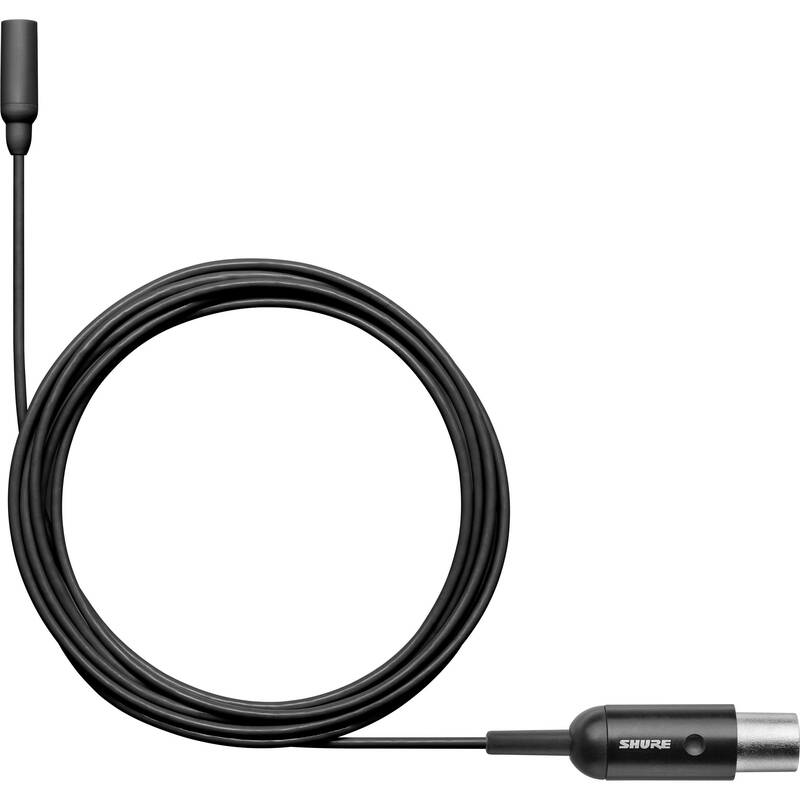 Sweat and moisture won't stop your signal when you use the black Shure TwinPlex TL48 omnidirectional lavalier microphone as your transducer of choice. This ultralightweight mic boasts a patent-pending, dual-diaphragm condenser capsule with an omnidirectional polar pattern, yielding full, natural tone and consistent off-axis response along with low self-noise and wide dynamic range. Plus, the paintable fixed frequency cap imparts a mid-frequency boost to enhance speech clarity, and it incorporates an internal hydrophobic woven lining to prevent signal dropouts caused by perspiration, extreme humidity, and precipitation. The TwinPlex TL48 remains easy to conceal while offering the sonic performance of mics with much larger diaphragms. Its low sensitivity makes it capable of handling high SPLs. The paintable, medical-grade, 1.6mm diameter cable resists kinks, maintains flexibility, and uses a redundant ground for enhanced shielding. The cable end is terminated with a TA4F connector for compatibility with an array of wireless transmitters. The TwinPlex TL48 includes a bundle of accessories for versatile and secure mounting, and a case for convenient storage and transport.